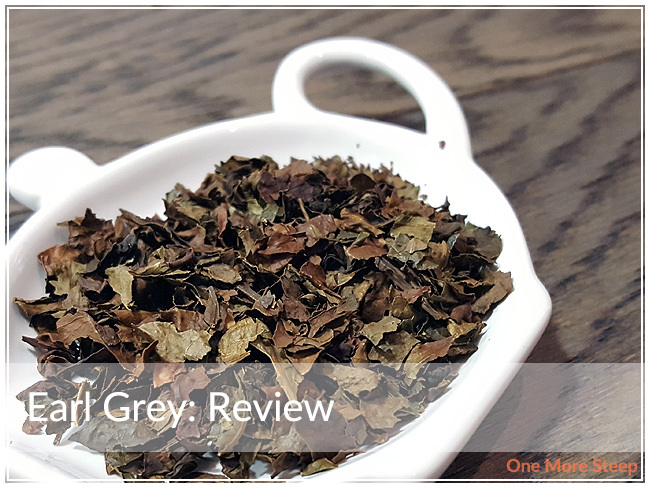 Wize Monkey has provided me with Earl Grey for the purposes of providing an honest review. I am not going to lie, I was a bit apprehensive about trying Wize Monkey’s Earl Grey. If you’ve been reading my reviews for a while (or following me on Instagram, where I share tea photos every day), you’ll know that I love Earl Grey. I love Earl Grey so much that I’ve published two recipes on One More Steep using that very tea because it’s one of my absolute favourites. 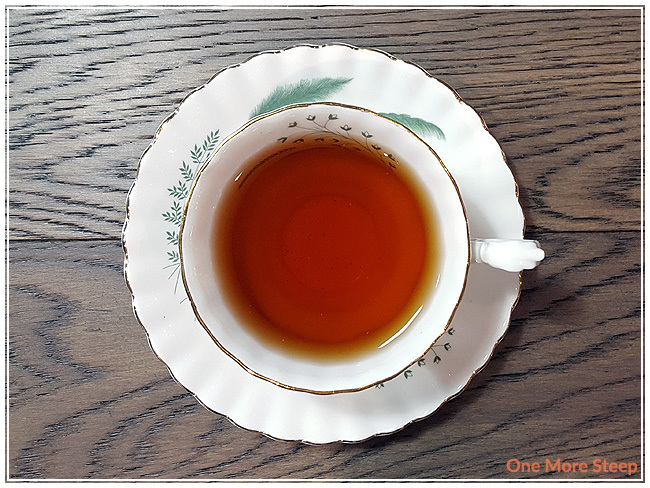 There’s something relaxing about a good cup of Earl Grey, and seeing that it’s one of my favourites it made me nervous about trying this one – if only because I probably have absurdly high standards for a good Earl Grey (sorry, Wize Monkey). With that in mind, I opened up the packaging on the Earl Grey sachets with enthusiasm (it is Earl Grey, after all!). The pyramid sachets emitted the very familiar aroma of bergamot oil. The citrus aroma overwhelms the coffee leaf base just enough that it makes me think it’s a regular Earl Grey. 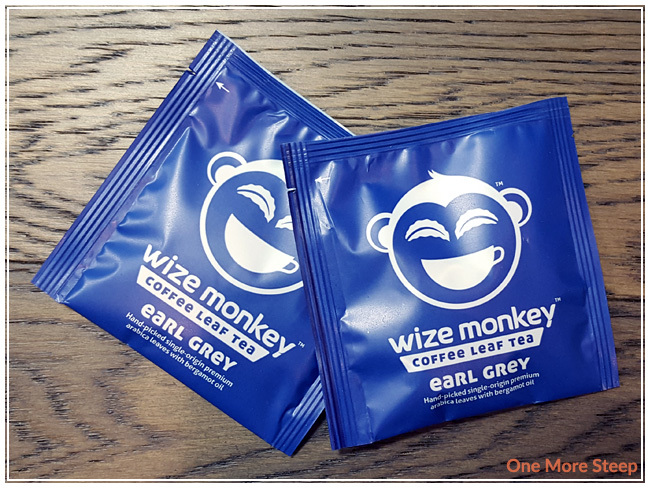 Wize Monkey’s Earl Grey consists of arabica leaves and bergamot oil. Wize Monkey recommends steeping Earl Grey in 95C (203F) water for as long as you’d like, since coffee leaf doesn’t get more bitter the longer you steep it – which is fantastic if you’re prone to steeping a cuppa, walking away and forgetting about it until it’s too late. My initial steep of Earl Grey was for 5 minutes. Earl Grey steeps to a golden orange that is quite similar to most of rest of the Wize Monkey tisanes that I’ve already tried (and reviewed). The aroma that comes up from the steeped tisane is that of the bergamot oil, so we’re already off to a good start. The flavour of this coffee leaf tea is both familiar yet… not. I can definitely taste the bergamot oil, it’s something that I can smell from the tea and taste as I sip it. The nuttiness from the coffee leaf tea is very much present, and I thought it’d make me a bit sad that it’s not a cup of black tea, but it doesn’t. It adds a certain something to this version of Earl Grey, but it lacks the pep that I’ve come to expect from previous Earl Grey experiences. I think the coffee leaf tea makes for a different type of Earl Grey experience, but still presents itself well as a black tea alternative. I resteeped Earl Grey twice. 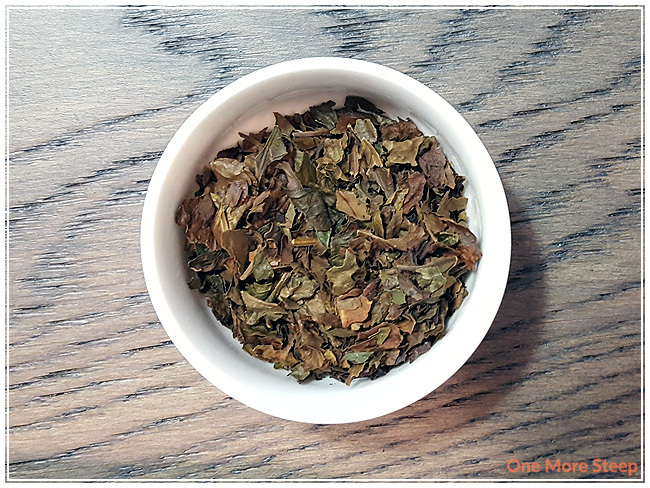 I found the first resteep to be fairly similar to the initial steep, while the second resteep was lacking some of the bergamot oil that I was hoping to find. I would say that Earl Grey is good for one more steep. I liked Wize Monkey’s Earl Grey. I’m probably overly critical because I love Earl Grey tea so much, but I really did enjoy this coffee leaf version of Earl Grey. 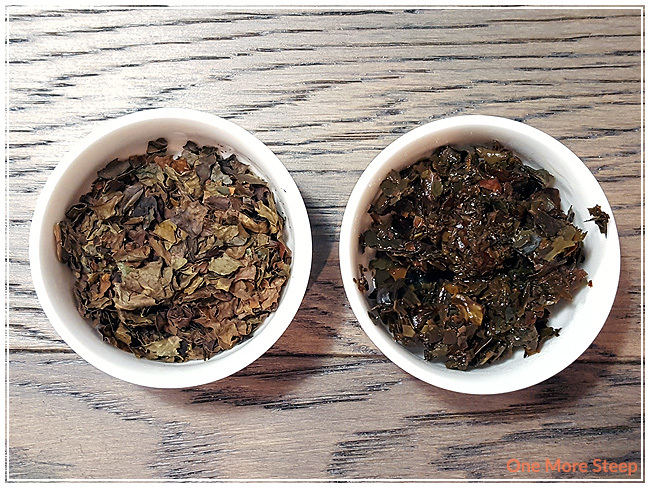 The bergamot oil played a good role in presenting itself as an Earl Grey, while the coffee leaf made for a lighter version of Earl Grey. I’m really used to Earl Grey made with a black tea base, so with that punch of flavour and caffeine. I found that the coffee leaf made for a milder base, which lacked that pow of caffeine, but still held its own. I think if you’re looking for a milder version of Earl Grey, Wize Monkey’s would be a great choice. It retains the trademark qualities of an Earl Grey but holds itself up with the coffee leaf base well.